Our pro essay writers have found a piece of breaking news for you! Enrich your knowledge with us every day. Although it’s a just stereotype that English-speaking nations may not see a point of learning a foreign language, it appears that their native English isn’t enough to help them be… rational. And the same is true for all monolinguals, no matter what their mother tongue is. Yeah, the statement does impress. But in order to comprehend better what it really implies, let’s first check the definition of the term “rationality”. It’s worth noting, however, that experts in different areas interpret rationality differently. While an economist is telling us that rationality of people and organizations means their ability to take the best actions to achieve their goals, a psychologist can interrupt and say that rationality is a human’s ability to cohere believes and actions with the reasons to believe to act respectively. Whatever definition you personally would like to stick to, you can’t but notice that they all are quite complicated and somewhat abstract. They hardly help us imagine how our rationality works in practice and why we need it. But if you choose to put aside scientific explanations and just try to come up with your own, simple definition, that’ll be exactly the moment when you’ll exercise your rationality. So, it’s your ability to reason and act, comprehending completely what stands behind your reasoning and acting, based on your knowledge, experience, and capacity to analyze them both before you formulate a particular thought or make a particular decision. One thing is clear: we are born rational, but we need to boost our rationality regularly throughout our life in order to make correct decisions and achieve our goals. Two recent studies have proved that the command of a foreign language can help us stay more rational. So, if your friend is learning Hindu now, and your mom insists on your learning Chinese, science has a few convincing reasons why you shouldn’t disregard any of the positions. Even when you feel confident enough to fluently read a simple text in, say, German or Japanese, you still can’t do it as fast as you read a text of the same complexity in your native language. All those combinations of foreign words make you slow down and require you to mobilize much more concentration than usually so you don’t make a mistake while reading and can understand the idea of the whole text correctly. But how often do we fail to concentrate on what we say or do simply because we’ve somehow got convinced that we’re doing everything right? It’s a rhetorical question, so you don’t need to try to give a precise answer. Interestingly, while our concentration increases when we have to deal with a foreign language, our so-called mental imagery gets weaker. Mental imagery includes what we know as visualizing or “hearing in the head”. In other words, it’s about everything that occurs to our minds after we gain any physical, perceptual experience. For example, mental imagery can explain why you can imagine the face of your mom at any moment, even when you don’t see real her. So, several experiments demonstrated that the images of experiences described by the participants who were asked to use a foreign language appeared less vivid than those described by the participants who could use a mother tongue. In addition, using a foreign language appeared to reduce the accuracy of the participants’ judgments concerning the similarity of the shapes of different objects. 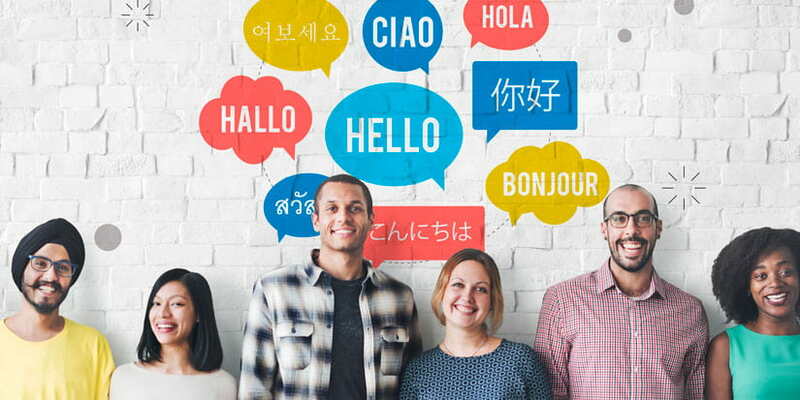 However strange it may look, but indeed learning a foreign language can help us act more rationally by increasing our concentration and weakening our mental imagery. But the mechanism behind that isn’t as blurred as it may seem at first sight. Mental imagery is linked with our feelings and emotions. And they can easily shatter your concentration into many tiny pieces. Just think whether you’d be able to focus on an exam essay, and just remain rational in general, if you broke up with your second half the previous night. Heaven forbid though! Back in 2017, a group of psychologists decided to find out whether using a foreign language can influence the solution of a moral dilemma a person suggests. The results they got turned out really amazing. They offered bilingual and multilingual participants of the experiment to muse over a very popular (but really cruel) moral dilemma using the second language they could speak, not their mother tongue. The essence of the dilemma lay in the following: could one sacrifice a life of one human in order to save five other lives? Probably, your Ethics or Philosophy professor once asked you and your mates the same question. The most terrifying thing is that you’re offered only these two options: one life can save five lives and five lives can save one life. You can’t think of any other ways to rescue all six lives. Let’s put this issue aside for now. You can come back to it later. Here’s what the researchers found out after they conducted the experiment based on this dilemma. The use of a foreign language made participants’ solutions more utilitarian. It means that those solutions tended to ground on the considerations of practicality or usefulness rather than those of comfortability, attractiveness, or simplicity. So, yes, you’re right if you think that most of the participants who were asked to use a foreign language to solve a dilemma chose to sacrifice one life to save five lives. And that’s a utilitarian solution that may be partly dictated by the command of a foreign language. Although you aren’t highly likely to face a similar situation in real life, still there’ll be multiple cases when you’ll have to trial your morals. So, your ability to speak a foreign language can stand you in good stead then, guaranteeing the rightness of the choice you’ll make. You may be thinking now that you can give a boost to your rationality only if you can speak a foreign language fluently and write in it flawlessly. But the great news is that fluentness of speech and flawlessness of writing don’t matter when it comes to the upgrade of your ability to think and act rationally. So, as long as you put your efforts and enthusiasm into learning Hindu, Chinese, or any other language, you can stay sure it improves your capacity for reasoning, decision-making, and problem-solving. And nowadays these skills are highly valuable. Learning a foreign language can be much more interesting than writing a research paper on a topic you don’t like at all. But you can’t juggle both in parallel, can you? We have a better idea. Just buy a research paper now and enjoy your language learning sessions. Rated 4.4 | 178 votes.